The state Department of Environmental Protection of the US state of New Jersey has reached an agreement to address its ageing infrastructure with City Hall and Trenton Water Works, a water treatment agency. The City of Trenton has paid a US$13,000 fine to the state of New Jersey as part of a plan to address its services after lead was detected in the city’s water supply. 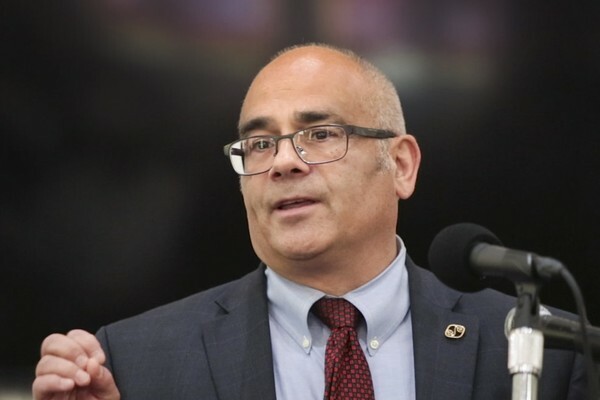 According to local press, mayor Reed Gusciora’s sign-off on the agreement coincided within a week of his attendance to a meeting set up by ex-mayor Doug Palmer, where they discussed ways to improve water quality. The two men also spoke the mayor of Flint, Michigan, a city that mired in one of the United State’s worst water crises in recent years. Test results showed elevated levels of the metal in 12 of 100 water samples taken in the first six months of 2018, according to local city reports. But the agreement made by the city’s mayor and the agency identified several problems with its service, in particular the levels of lead found in the city’s drinking water. A report outlining the terms of the agreement stated that the city and the agency must follow strict guidelines in order to comply with the Safe Drinking Water Act. “The document requires [Trenton Water Works] to submit a new corrosion control treatment project plan, complete a lead service line replacement project, and comply with regular monitoring for lead and copper lines, as well as water quality,” it states. Trenton’s failure to avert the risk of lead seeping into water through aged pipes was flagged earlier this year by New Jersey’s head environmental regulator and commissioner of the New Jersey Department of Environmental Protection, Bob Martin.